“A Dream Deferred.” That’s the title of a blog post by IMF Managing Director Christine Lagarde’s published this week, sounding the alarm on rising youth poverty and generational inequality in Europe. Andrianos Giannou writes about “the generation left behind”. Andrianos Giannou is the President of the Youth EPP. The article, and her Davos intervention on the topic shortly thereafter, coincided with the publication of new research by the International Monetary Fund, which shows that nearly one in five young people in Europe are still looking for work, while one in four young people are at risk of poverty – the generation left behind. Youth unemployment rates have been decreasing since the peak of the financial crisis. However, the numbers mask a very different reality: whereas more young people are now in employment, compared to 2008, the quality of employment has deteriorated. Instead of holding down stable, permanent jobs, young people are increasingly employed in temporary, part-time, on-call, agency or other types of alternative work arrangements. The IMF comes up with a series of recommendations. 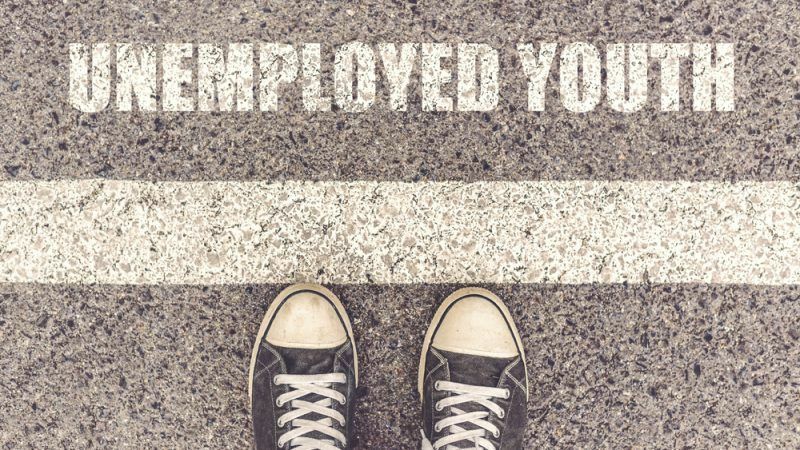 Some of them, such as tax incentives for companies that employ young people, have been tried in individual member states, and, to a large extent, have failed: young employees are often laid off once the grace period expires. Other measures, such as investment in skill-building, need urgent implementation. There are two points here to take into account. First, those alternative types of contracts will persist. Further, their number will increase. The lack of permanent, stable work post-crisis might have been due to slow growth rates, but those alternative arrangements reflect the future of work. In the US, freelancers could overtake ‘9-to-5’ employees by 2027 – Europe will follow suit. Credit it or blame it on the ‘gig economy’ or on the millennials’ quest for a better work/life balance. It is flexibility that any social security system will have to be recast on. Even if incomes had increased equally across all age groups, the young would still be more vulnerable to shocks because the nature of contractual arrangements they find themselves into differ. A proportion of us – I think the majority – might have been forced into unstable contracts post-2008, bar any other opportunity. Some others have opted for that. Fairly-distributed growth will help the former, but the number of the latter will only rise. Technological advancement has the potential to empower millions of people through new opportunities. Our current social security systems don’t. Secondly, for a dream to be deferred, a dream must exist in the first place. What is the European Dream my generation has been sold? What is the narrative that will woo millennials and Generation Z? The promise so far has been underwhelming at best. Europe’s success story has been built on ’70 years of lasting peace’. That rings hollow with a generation that takes peace for granted. Baby boomers have pushed Erasmus or free-roaming in an attempt to sound down with the kids. How about those who cannot even afford university or the chance to travel? I don’t believe young European innovators cross the Atlantic because of the generous American social security system or more paid holidays – the US fares worse in both. Nor have I encountered a 24-year-old who was concerned about his pension contributions or health care. In order to win the hearts and minds of young Europeans, we need to inspire, not only protect. To do so, we will need to come up with a new vision, a new narrative, a new European Dream. So what could that be? The new European Dream must be founded on ‘opportunity for all’. Not abstract values or grandiose plans but practical benefits to every single European. For Europe to succeed, every single one of us will have to see a better future for himself in it. How? The answer lies in the Fourth Industrial Revolution. Innovation is the new oil (AI alone could add $16 trillion to the global economy by 2030). We will need to embrace it, own it, and put together the rulebook that will make it inclusive. We will need to become the continent that provides a new model to the world: the continent of inclusive growth. The continent where technology works for all. The continent that works. Where do we start? The first step is to attract innovation. We certainly do not lack talent. To some extent, we don’t lack financing either. What we lack is scale. It is a truly functioning market of 500 million that will create the foundations for a new Europe. A Europe that moves forward, leaving no one behind.